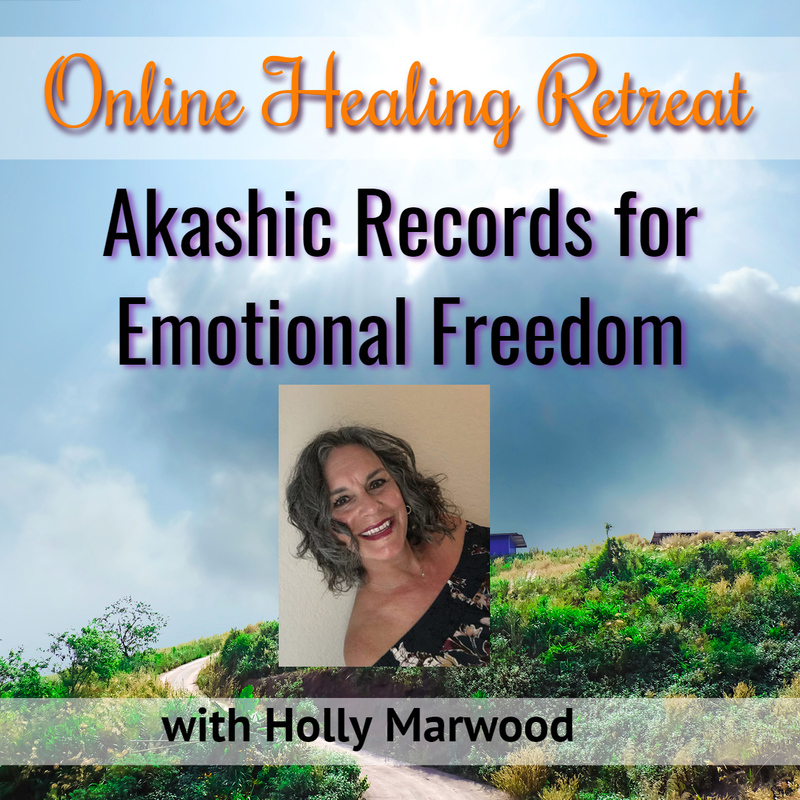 Join Holly Hawkins Marwood on an Akashic Records Journey as she introduces you to the Akashic Records, shows you an easy-to-use method to consistently access them, and then enjoy multiple guided experiences in your own Akashic Records. Once you are introduced to this incomparable Soul-level resource you will be taken on a journey to begin unpacking all that is in your way, all that you have felt stuck with, all that is holding you back in your emotional field. Holly’s skill in working in the Akashic Records allows her to share potent and meaningful experiences, that are repeatable, to get amazing movement towards the life that you have been imagining and desiring. Understanding the Akashic Records, what they are and how they can benefit you in, literally, every single area of your life. Learn how to open your own Akashic Records using an easy, repeatable method that you can then use for the rest of your life. Go on guided experiences and learn a potent method of using your Akashic Records to begin unpacking your emotional baggage in a safe, loving space with no threat or risk. Understand the importance of unpacking your conscious & sub-conscious baggage, releasing you to live the life you dream about. Be given tools and additional information to continue the process after the 2 day healing session is over. You will learn to work with and release unresolved emotional issues that you may have been struggling with for years. You will begin to feel unconditional love for yourself and see the light in the trauma in your life. Discover a new-found confidence in yourself. Emotional Baggage: why it is so hard to get rid of. Benefits of unpacking your baggage. How to begin to unload the trauma using the Akashic Records. Experience an Akashic Record Reading with Holly where she will open your records and then you have the opportunity to ask some questions that are top of mind for you at this point. The reading can be done via phone, Skype or Zoom. Additionally, the reading can be recorded for you and the mp3 file sent to you after the reading is over. Every Akashic Record Reading occurs in a field of unconditional love and freedom from any judgment. You are safe, cared for and nurtured as you experience the great healing, release and Soul-level understanding in your reading. The flow of the reading is guided by your questions, which you will ask during the reading itself. To best prepare for the reading, we will send you a link to a document on Reading Preparation. “Such a powerful gift. I am awed by it, too, Holly. Who knew? Thank God/Source for speaking through you for my healing/renewal. I can still feel the freedom, tangibly. How can I express my thanks to you!! — Keep up your wonderful work!”.